The drive JP-AIR 1 is a compactly built, elegant designed air operated motor with an aluminium housing. The lightweight, handy and powerful device can be used as drive for the laboratory and drum pump tubes and is suitable in this combination for many thin liquid, neutral and aggressive media. 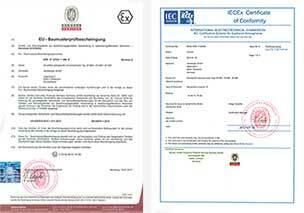 Flammable media are not allowed to be transferred with the laboratory pump tubes made of stainless steel cause of missing ATEX certification. The sophisticated, technically clear structure ensures an efficient and safe use when transferring various media. 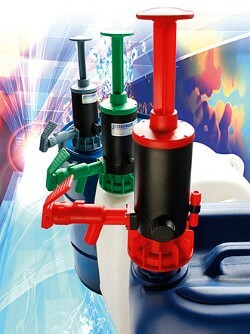 The air operated drum pump motor is characterized beside its light weight (2 kg) by its ease of use. The non-stationary and stationary usable drive is particularly suitable for intermittent operation. Via the included ball valve the compressed air can be dosed at the air inlet, and thereby the rotational speed of the motor. 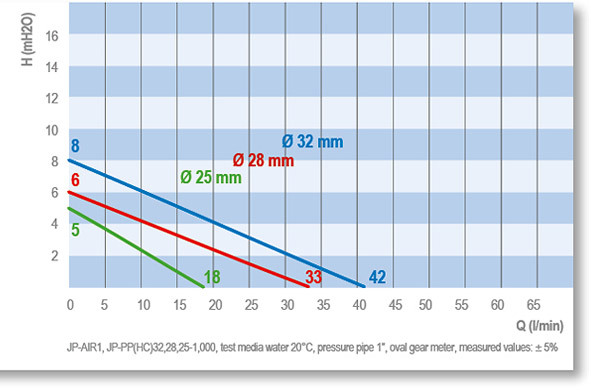 Therefore the flow rate of the pumped media can be adjusted to the users requirements. The maximum operating pressure is 6 bar. The included silencer ensures a low noise level. The air consumption of the engine is under load 13 l/sec. The maximum density of the media is for the air operated motor JP-AIR 1 1.3, the maximum viscosity 400 mPas. Air consumption under load 13 l/sec. 300 Watt at max. 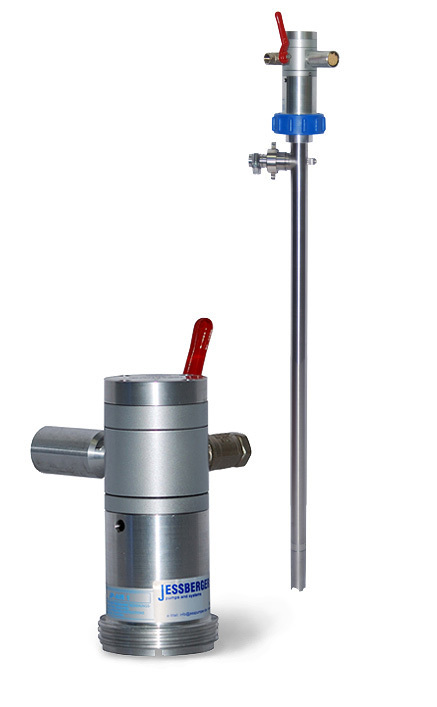 6 bar operating pressure, with silencer and a brass ball valve for control compressed air. This regulates speed of the motor and varies pumping capacity.